Cambridge, the weekend of 26th-27th May 2007. 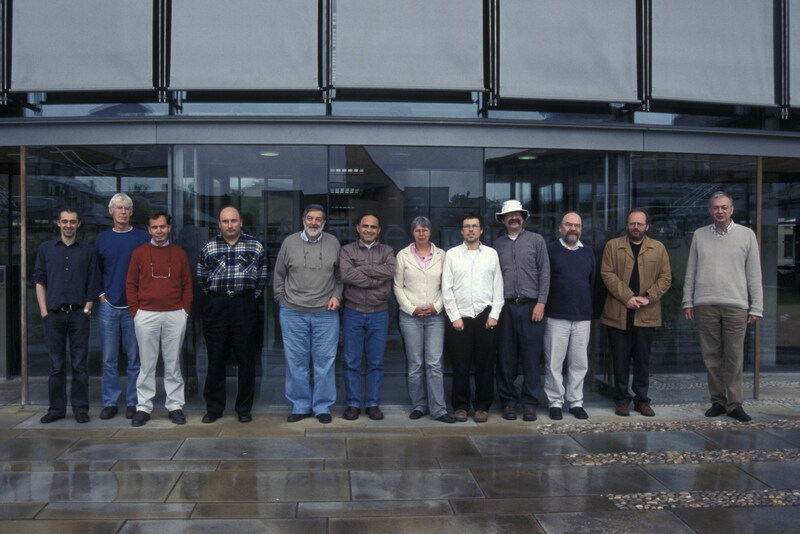 Meeting Room 4, the Centre for Mathematical Sciences, Wilberforce Road, Cambridge. Definite attendees: Marcel Crabbe, Thierry Libert, Andre Petry, Randall Holmes, Ali Enayat, Thomas Forster, Sergei Tupailo, Dang Vu, Athanasios Tzouvaras, Olivier Esser. Provisional Programme We will not start talks until saturday mid-morning. A very short introduction to the stratified constructible S hierarchy, with some comments on its similarities/differences with respect to the constructible universe L and the class HS of hereditarily symmetric sets. "A Forster term model of TST"
A Forster term model of a set theory is a model in which all elements are parameter-free set abstracts. In the case of TST, we must also allow type 0 constants. Solovay has proved using standard techniques from the theory of constructible sets that there is a Forster term model of TST. I have realized that a structure that I described to Thomas Forster during a visit in 1998 actually seems to be a Forster term model (in fact, probably the same one Solovay described). I will outline my proof of this fact. Nothing in my talk should be attributed to Solovay, nor should anything I say be construed as denying Solovay priority for this result (in particular, while I did describe this structure in 1998, I had no reason to believe it was a Forster term model and I was in fact fairly certain it was not). (b) Godel-Bernays theory of classes plus the axiom "the class of ordinals is weakly compact". "NF and indiscernibles in ZF"
We show how NF (Quine's "New Foundations") can be seen as a special (inner) model of ZF. First, we give a sufficient condition for [the famous long-standing open problem of] NF consistency. Next, in the ZF language, we will present a much simplified Specker's refutation of AC in NF (= in that model of ZF).